“I wasn’t referring to Congresswoman Ocasio-Cortez specifically, I was referring to members of Congress getting into Twitter battles. I was referring to them getting into public spats with people who plainly agree with them. From what I’ve seen, I’m confident that Ms. Ocasio-Cortez is going to rise to the considerable challenge and serve in the House with distinction", Sorkin said in a statement to The Hollywood Reporter. The creator of “The West Wing” was discussing politics during an interview with CNN’s Fareed Zakaria, noting that “there’s great opportunity here, now more than ever, for Democrats to be the non-stupid party". He also noted that the new Democrats in Congress should “stop acting like young people” and think more about average Americans: “…That we haven’t forgotten the economic anxiety of the middle class but we’re going to be smart about this, we’re not going to be mean about it". 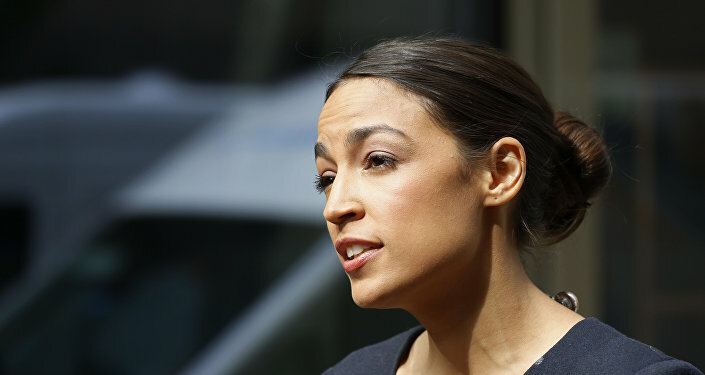 The statements drew the immediate attention of the recently elected representative Alexandria Ocasio-Cortez, who slammed the director with a thread of tweets. “News Flash: Medicare for All & equal rights aren’t trends", 29-year-old Ocasio-Cortez, the youngest woman elected to the House, tweeted, while attaching the Sorkin video. “When people complain about low turnout in some demos, it’s not because communities are apathetic, it’s bc they don’t see you fighting for them. If we don’t show up for people, why should you feel entitled to their vote?” Ocasio-Cortez added. — Alexandria Ocasio-Cortez (@AOC) 20 января 2019 г. ​Ocasio-Cortez is well-known for engaging in the fights with other Congressmen and Senators, both online and offline. Since her election, she has made a number of controversial statements which have provoked strong responses, including accusing the former White House Chief of Staff and retired Marine Corps General John F. Kelly of “cowardice".